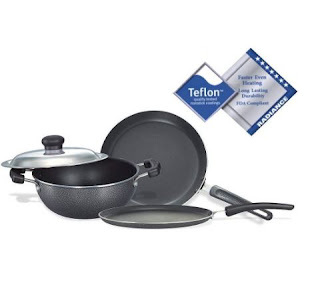 Amazon India is Offering The Great Discount On Prestige Omega Select Plus Non-Stick BYK Set, 3-Pieces, Gas-stove compatible only. You Will Get Rs.1620 Off On The Product From The Amazon. So This is Definitely The Loot Deal From Us.